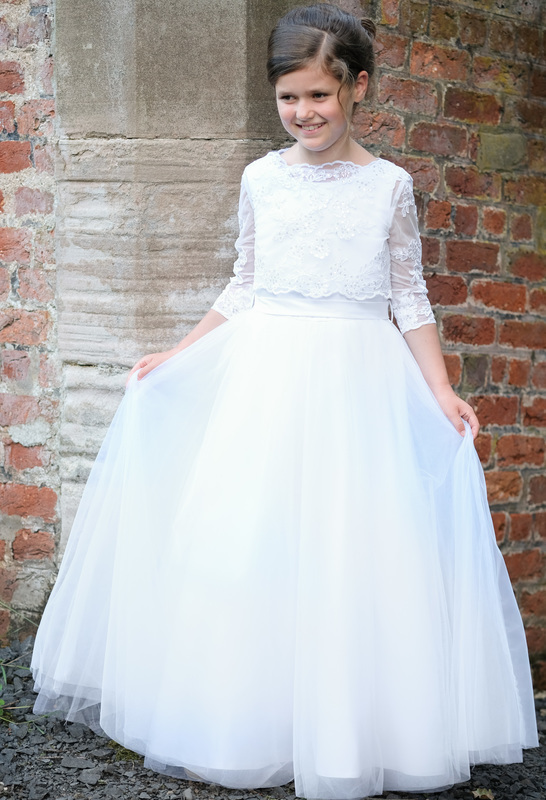 I will have my full Collection of 2019 Communion Dresses including my NEW and EXCLUSIVE DESIGNER RANGE which I have designed myself and can be made to measure. I will also have an amazing range of Shoes and Accessories to match. Just Come On In And Enjoy. I really look forward to meeting you all over the next few months, Cathy. In Johnstown Village Turn up the Tipper Road located immediate left 50 Metres after the Johnstown Inn. 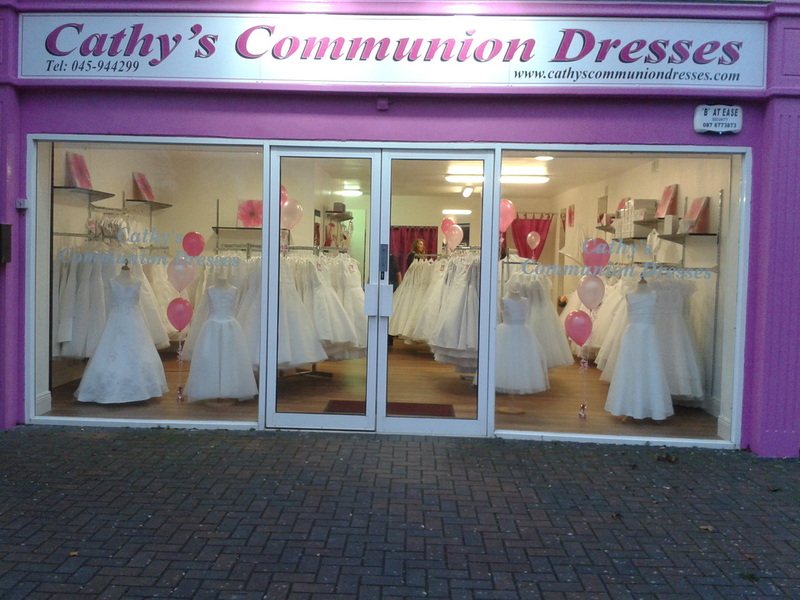 Cathys shop is 250 Metres up the Tipper Road on the left hand side opposite ADM Londis Distribution In St johns grove. Drive Left into St Johns Grove, immediate right and right again, continue to the shop. 1 hour from Dundalk. 1 hour from Navan. 40 Minutes from Portlaoise. 1 hour from Kilkenny. 1.5 Hours from Limerick. 2 Hours from Galway. 1 Hour from Tullamore. 1.5 Hours from Waterford. "Shop Location" Page For Google Map. 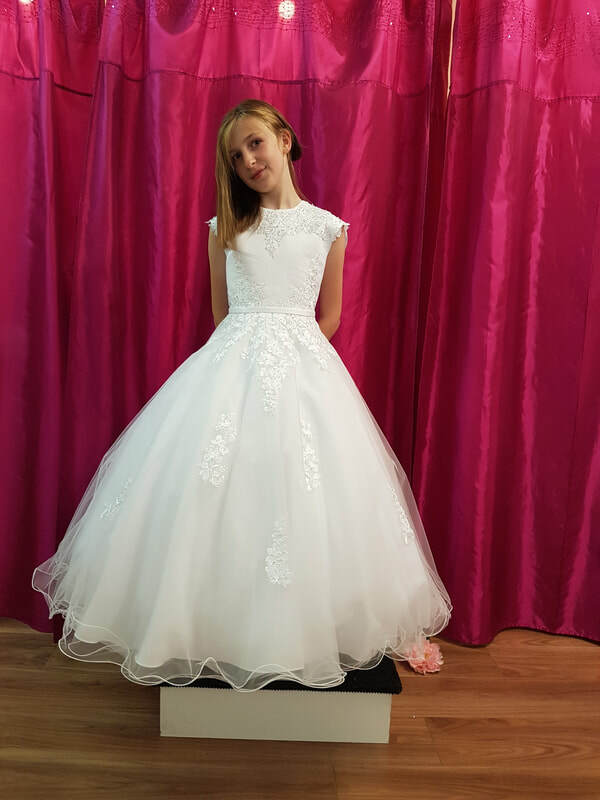 I look forward to seeing you and your Sons or Daughters in the shop or at one of my shows for the "Ultimate 2018 Communion Dress or Suit Experience"
See you all very soon, Cathy. "Excellence" with "Value for Money"